In recent times, cooperation between Azerbaijan and Russia is becoming more intense in all spheres, including tourism. 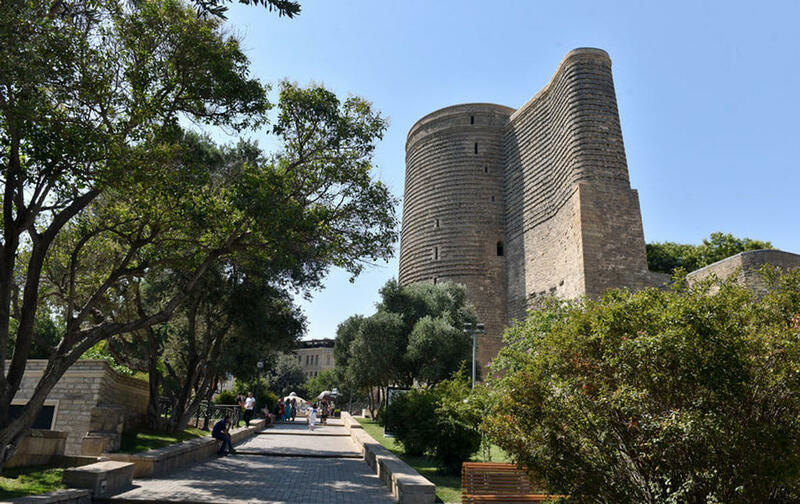 The Azerbaijan State Tourism Agency is holding talks with Russian partners on the implementation of joint tourism projects in near future, Kenan Guluzade, head of the public relations department of the agency, told Trend. He said that possible options for creating joint test projects in the direction of the North Caucasus are being considered. "Our countries have quite a big potential for cooperation in the field of tourism, including the exchange of tourists," he noted. "In the process of active negotiations with Russian partners, there are also discussions related to the facilitated passage of border procedures for participants of package tours." He added that the implementation of a joint project may start in the coming months of this year. "Approximately in May, or in early June, we will announce our plans related to the implementation of new joint projects, and we will inform the public about concrete achievements in this direction," he said. Azerbaijan is becoming a recognizable and attractive tourist destination for Russian citizens in both summer and winter. The presence of nine climate zones in Azerbaijan allows tourists to ski in the snowy mountains, as well as relax in fine sandy beaches, participate in interesting festivals and sports events. Opening of Azerbaijan Tourism Board in Russia will promote the recognition of Azerbaijan by Russians as a tourist destination. The official representation of the Azerbaijan Tourism Board has been operating in Moscow since December 2018. In 2018, Russia was the leader in the tourism market of Azerbaijan. Thus, as many as 2,849,600 tourists from 196 countries arrived in Azerbaijan during the year. In the list, Russians make up the largest part of the tourists having a share of 30.9 percent (about 900,000). Azerbaijan and Russia are establishing active cooperation between the ski resorts of Azerbaijan and North Caucasus. The possibility of the connection the Azerbaijani and North Caucasian resorts of Russia by a single ski pass was discussed during a business forum entitled 'Invest in the Caucasus' in Grozny December 2018. Russia and Azerbaijan also intend to create a trans-Caspian transport line, as well as develop cruise tourism in the Caspian Sea. It should be noted that simplified regime of border crossing between Russia and Azerbaijan will make creating an international tourist route possible, which will immediately stimulate tourist exchange between Azerbaijan and Russia’s Caspian regions. There are several reasons why Russian tourists are heading to Azerbaijan for their vacation. Tourists are attracted by the quality of the hotel basis, the richness of excursion programs and the development of sanitary and spa complexes. Most tourists believe that the hotel base in Azerbaijan does not fall behind with Europe. In addition, opening direct flights between Azerbaijan and many Russian cities, lack of language restrictions and the possibility of visa-free travel are important factors for the development of tourism between the two countries.